Look: The standard Keo cleat has been developed with the goal of minimizing weight and to be a simplified cleat and pedal ensemble, while maintaining compatibility with all shoes on the market. The kinematics function is identical to the standard DELTA pedal. Cleat entry and release is secure and efficient. 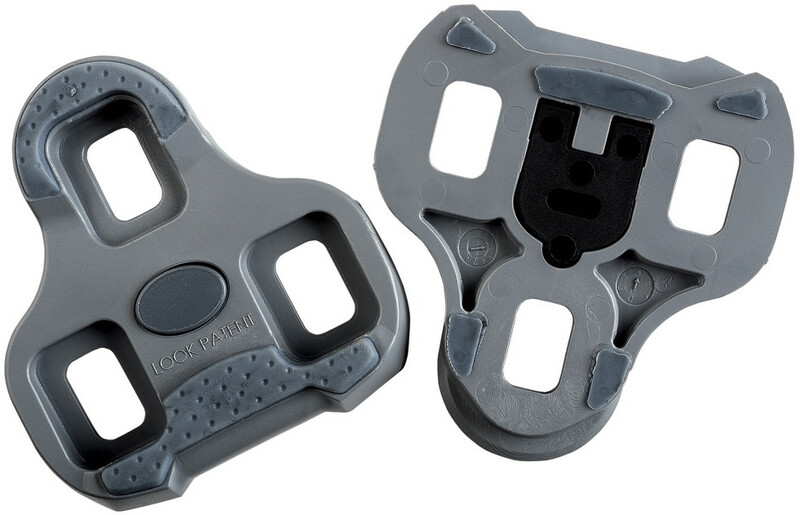 The new Keo GRIP is an anti-slip cleat. It is safer for walking and compatible with the complete Keo line. The TPU inserts help keep the cleat in position on the sole side of the cleat and eliminate slip especially with carbon soled shoes, while LOOK's Position Memory technology allows easy cleat replacement by retaining the position of the previous cleat.